Hey seeing as I never post any work I thought I’d at least put something on here so I don’t appear to not be doing anything. 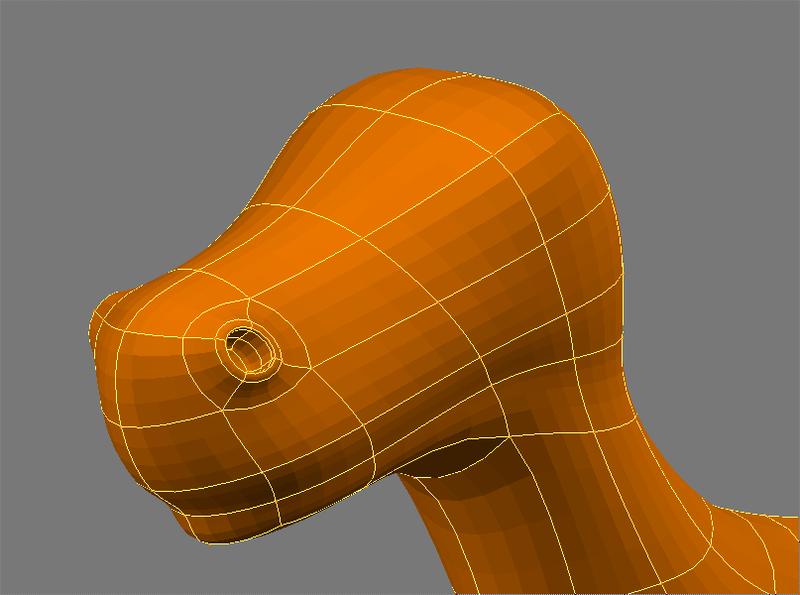 You might recognise the general construction of this if you’ve done the dino tutorial on 3dtutorials.sk. Coming up with ideas hasn’t been my strong point, and I’ve been a bit lazy getting anything done. So this is my first real attempt to make something that might be of use, though its not really a measure of my skill as the tutorial is rather exhaustively detailed. Will start working on the head, hopefully can get some of my own ideas into that. Oh, I’m aware that set smooth is not on in case you’re wondering - I find it easier to gauge the topology without it on. I think the tail should be longer, and the foot only seems to have only two toes, there should be three on the front and one at the back. Good luck. Yeh, the tail is something that can be tweaked easily - not sure about its character yet, thinking about a rather dopey good natured dinosaur though (a bit cliche I know). He’s not really meant to be anatomically correct, but more of a toon style dino. But you’re right, I think a third toe might make it look better. Are you going to UV texture it? The nose looks good. Thanks! The only thing I’ve UV textured so far is a cube We’ll see how it goes I s’pose. He’ll probably just get a toon shading till I learn how to texture properly. One thing I’m noticing is that i can be tough to make a loop without going around the entire body - I need to re-read the subdivision modelling thread about edge and face loops. 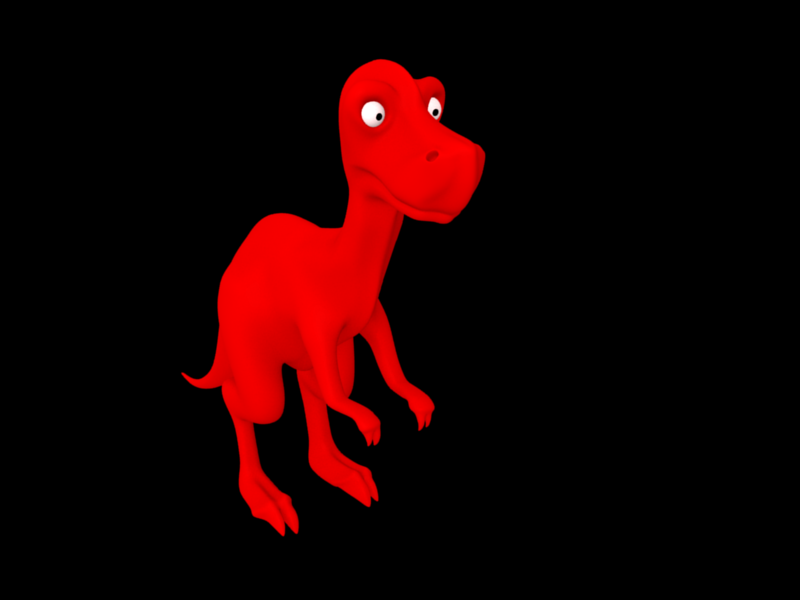 UV texturing isn’t hard, the seams just outline the shapes you want to paint, you can see my T. Rex further back in the forum and if you download it you can see how I did the textures. 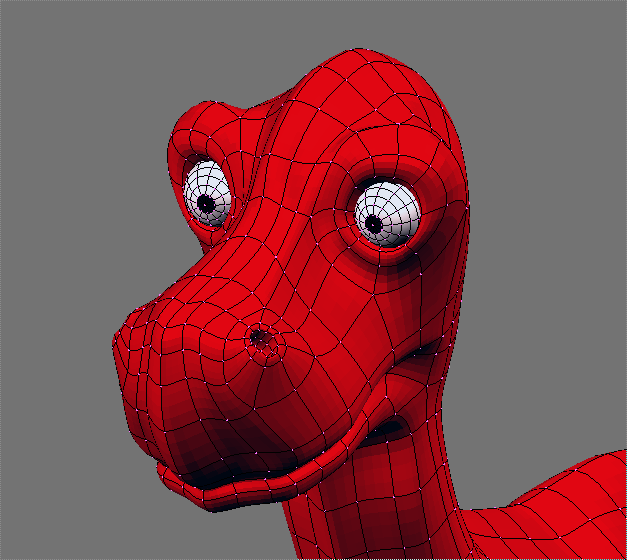 Toon materials are simpler but you can’t get all the reptillian detail that is usually seen on cartoon dinosaurs. Really good modeling. I really like it. The ratio of verts/detail is amazing. So much model with so little polys. Really good. Looking forward to textures. 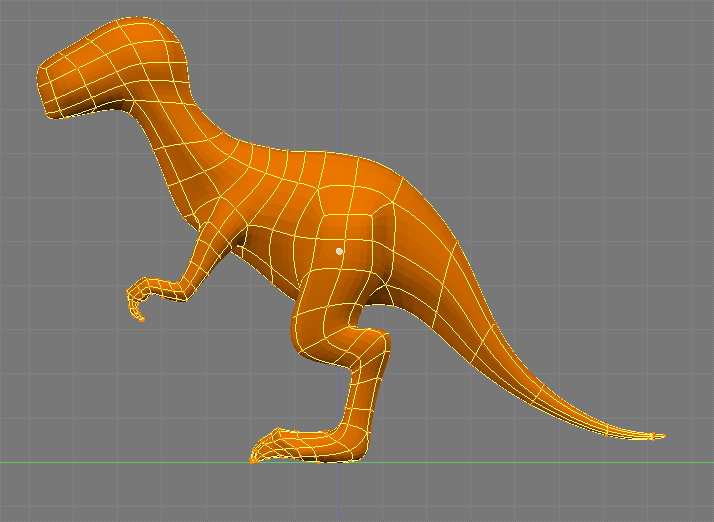 hey im wokring on a dinosaur similar to this(alot less cartoony) but i think the UV unwrapping should be similar and I am having a hard time getting the legs and feet to unwrap…any ideas? I’m sure that I’m even less experienced at UV unwrapping than you are SDS, hehe. I really have not done any to speak of. I like his head and “face”, you’ll be able to get some really cool expresions there. Friendly looking guy. Are you planning to do any animation? Yeh, I think it would be interesting to try and animate him. I’ll definitely rig him enough to give him an interesting pose. I don’t know much about facial rigs, so I’ll have to read up on how to give him some expressions. 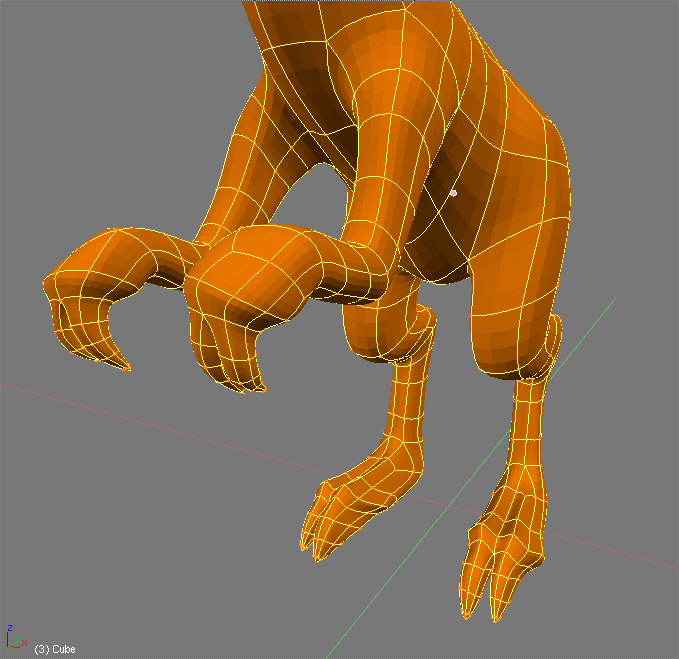 I’m sure I could rig him enough to give him a walk cycle and basic body movement though. Len: Thanks for the compliment man, that means a lot coming from someone far more skilled than myself. I’ll need to read op on facial rigs if I’m to get those cool expressions - any tips? 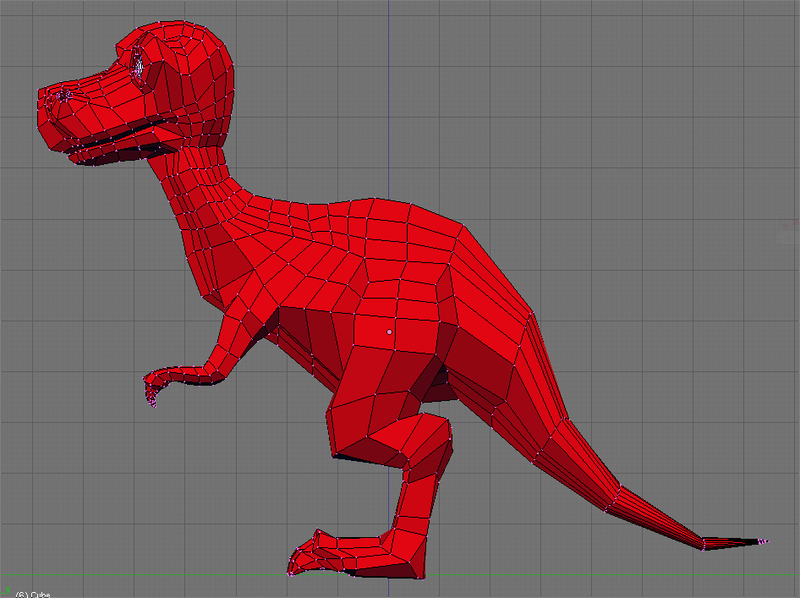 I’m doing a few tweaks on the topology currently, then will look to see how I might go about texturing him. Hey dude, you give me too much credit, you’re a very good modeller. I haven’t ventured into the area of facial rigs either yet hey, still have to learn those, but I feel Tony Mullen’s book is very good to learn that, I’ve only read through it, haven’t tried it myself yet I’m afraid hey. Good luck mon! Looking forward to checking your progress!